An English roast is a cut of beef taken from the shoulder. It is a cut traditionally roasted for Sunday dinner in England. Beef shoulder is the same as beef chuck. The English roast cut of beef contains three rib bones. You might recognize the cut as a section of chuck short ribs. 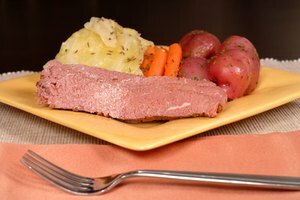 If the bones have been taken out of English roast, which is sometimes labeled English cut roast, this cut of beef is called an English or chuck roll or a chuckwagon roast. English roast can go by many names. 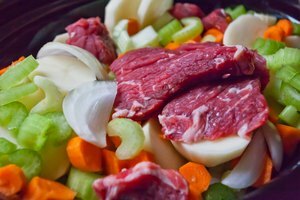 In markets the beef might be labeled a Boston cut, a cross rib roast (sometimes designated rib pot roast), a bread-and-butter cut and a thick rib roast. As a piece of chuck, English roast has a lot of flavor, but is tough. This means the roast can't be roasted dry. It must be cooked with a liquid method; thus, pot roast. 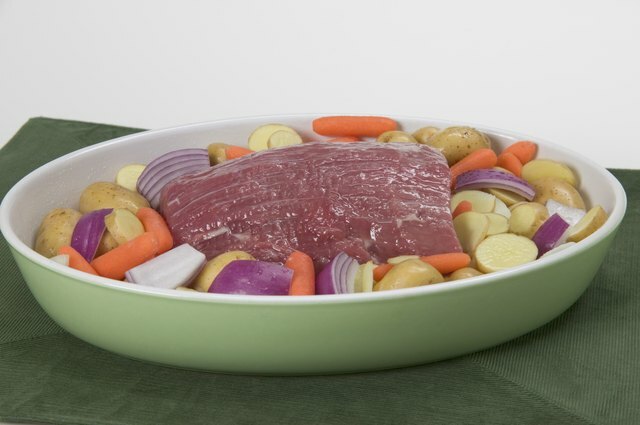 A blade or arm roast, along with a seven-bone roast, can all be used as substitutions. All are cuts of chucks that have bone. 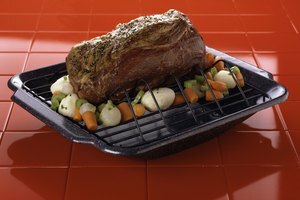 As beef that is tough and fatty, English roast is less expensive than other cuts of beef. The fat, however, imparts a lot of flavor and, cooked with liquid, English roast can be quite succulent.